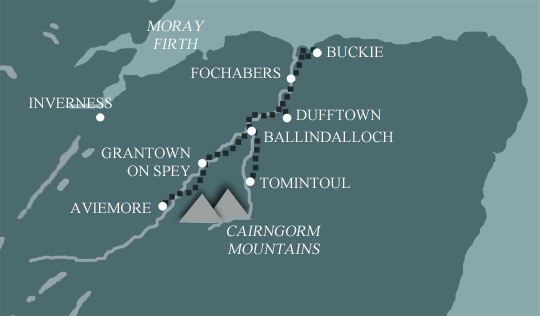 This is our full Speyside Way route including the Dufftown Spur. Dufftown is an attractive and varied circuit encompassing the famous Glenfiddich Distillery. A rougher and more challenging walk today with good views. 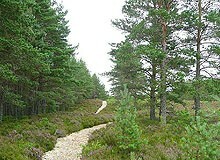 There are lovely pinewoods between Cromdale and Grantown-on-Spey, a small town with fine stone buildings. 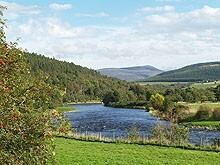 Terrain: Woodlands, forest and meadows along the Spey valley, with the odd section of more exposed hillside moorland. What’s it like underfoot? Good tracks and paths. Smaller sections can be boggy or rocky. How Much Up & Down? Not too much. Gentle rolling countryside for much of the route. A couple of bigger climbs of up to 200m, but nothing too strenuous. Navigation: Pretty straightforward. Keep your map and guidebook handy though! Weather: The east coast is drier and sunnier than other parts of the country, but it can get windy. There is much more chance of rain as you get closer to the mountains. Good waterproofs and warm clothing essential.